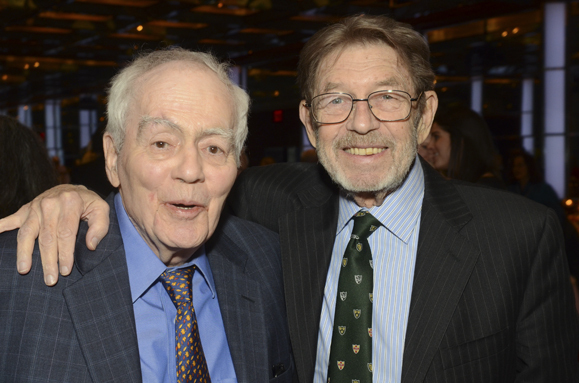 Pulizer Prize winners Jimmy Breslin (left) with Pete Hamill at the GIH Gala. Photos by James Higgins. Tony-winning actor Brian Dennehy presented the inaugural Seamus Heaney Award for Arts & Letters to acclaimed writer Pete Hamill at Glucksman Ireland House NYU’s Annual Gala on Tuesday, February 25. Hamill was honored along with celebrated restaurateur Michael “Buzzy” O’Keeffe, whose River Cafe and Water Club have served as icons for classic American cuisine and bred numerous acclaimed chefs. Both New York-born Irish Americans recognized how far they’d come from their respective Brooklyn and Bronx beginnings at the GIH gala at NYU’s Kimmel Center for University Life. Chef David Burke presenting Michael “Buzzy” O’Keeffe (right) his award. Author and essayist Peter Quinn acted as Master of Ceremonies at the Gala, which welcomed many high profile New Yorkers including Woody Allen and Soon Yi Previn, Governor of Connecticut Daniel P. Molloy, the Irish Ambassador to the U.S. Anne Anderson, Irish Ambassador to the U.N. David Donoghue, Consul General of Ireland Noel Kilkenny, original Riverdance principal dancer and choreographer Jean Butler, and journalists Jimmy Breslin, Denis Hamill, Dan Barry, and Jim Dwyer. The Seamus Heaney Award for Arts & Letters is awarded in memory of the late Nobel Laureate who was a great champion of GIH, NYU’s center for Irish-American and Irish Studies. 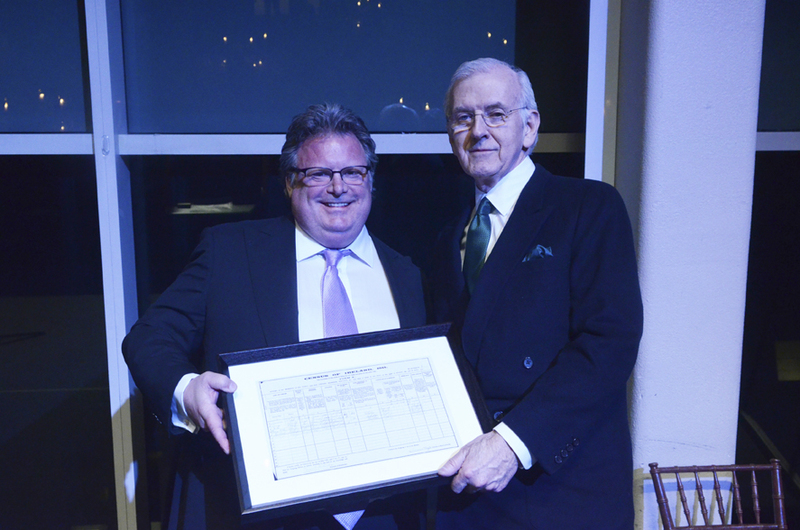 The Lewis L. Glucksman Award for Leadership, which Mr. O’Keeffe received, is awarded in memory of the co-founder of Glucksman Ireland House, whose career in finance, philanthropy and vision is relived constantly through the teaching, learning, and research fostered at Glucksman Ireland House NYU.